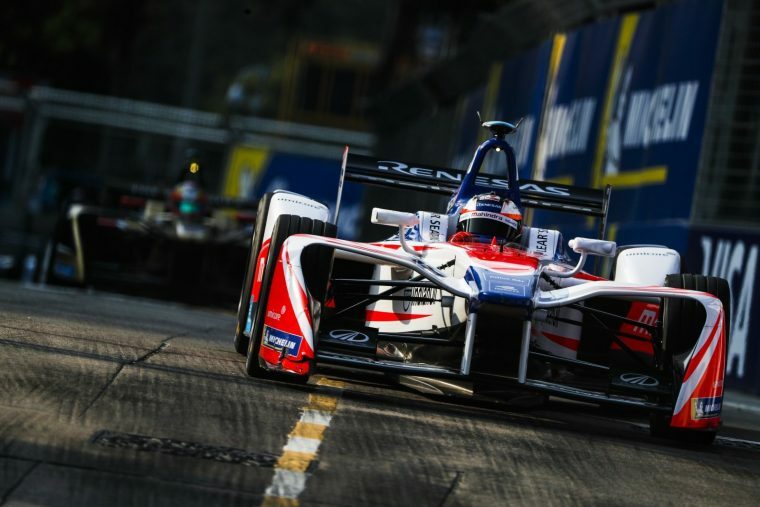 The season-opening double-header Hong Kong E-Prix saw a strong start for Mahindra Racing where each driver took a podium each, Felix Rosenqvist’s being on the top step, ensuring that the Indian squad came away with the lead of the team’s championship. Fielding an unchanged driver line-up in Nick Heidfeld and Felix Rosenqvist, Mahindra Racing came to Hong Kong looking to build upon their race-winning season three and mount a title challenge. The first race went better for Heidfeld, who qualified his #23 Mahindra on the second row. Initially he was unable to keep up with the leading pair of DS Virgin Racing’s Sam Bird and Techeetah’s Jean-Eric Vergne, but following the pit stops he was pressuring Vergne for second while Bird went on to a dominant win. Rosenqvist qualified fifth, but an assortment of problems for the Swede saw him finish outside of the points in 14th. Fortunes reversed in race two, with Rosenqvist putting in an incredible recovery drive to second place following a spin out of the lead following a safety car start. With the on-track winner of Audi Sport’s Daniel Abt disqualified following a technical infringement, the 26-year-old inherited his second Formula E victory. On the other side of the garage, Heidfeld qualified tenth after a scrappy 200kW lap and didn’t progress in the race, eventually dropping back to 16th and a lap down. Listed as a title favourite for season four, Saturday didn’t exactly go to plan for the Swede, who managed to qualify fifth but after running in the points for the majority of the race a technical issue in the #23 M4Electro caused Rosenqvist to drop down the order and out of the top ten in the past few laps. Sunday was much more like the Rosenqvist that fans of Formula E have come to appreciate, as the Swede put in a stellar lap in qualifying to outdo pole favourite Mitch Evans by 0.054s. Following a safety car start, Rosenqvist led the field across the line but an uncharacteristic error saw the Swede pointing the wrong way in turn one, handing the lead to Venturi’s rookie driver Edoardo Mortara. Recovering in P11, Rosenqvist set about his business with a nothing-to-lose attitude and sliced his way through the field to third place behind Mortara and Daniel Abt. A spin for the race leader with two laps to go promoted Rosenqvist to second, while post-race investigation for Audi Sport saw Abt being stripped of his maiden victory, handing the top spot to Rosenqvist and completing a superb recovery. The 26-year-old leaves Hong Kong with third in the championship and the honour of the first ever driver to achieve a perfect score for pole position, fastest lap and the race win. There was a sense of familiarity for Heidfeld on Saturday, as he took his home his eighth podium all eight of which have been in third place. 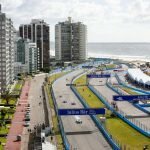 Just like his Formula 1 record for most podiums without a win, the German also holds this record for Formula E.
Arguably, Heidfeld could have won the opening race in Hong Kong. Initially he dropped back from the race-leading duo of Sam Bird and Jean-Eric Vergne, but once the pit stops had played out Heidfeld found himself shadowing Vergne for second. Heidfeld said after the race that his car was much faster than Vergne’s, but he was unable to find a way past on the tight streets and had to settle for third. 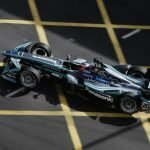 Had the 40-year-old got past earlier in the race, it’s not unreasonable to think he could have been ahead of Bird after the Englishman had served his drive through penalty and gone on for his maiden Formula E victory. Be that as it may, third place is by no means a disappointing result, even if Heidfeld did describe it as “the worst third place” he’s ever achieved. If Heidfeld didn’t enjoy his podium visit on Saturday, Sunday will have been even worse. A below-par qualifying left the German in the midfield and a technical gremlin wouldn’t have helped matters. On lap six, Heidfeld pulled to the side of the track and had to reset the car before setting off on his way again, but now confined to the back of the field. P16 isn’t the sort of result you would expect from the team, but encouragement can be taken from the front-running pace shown on Saturday and by team-mate Rosenqvist on Sunday.